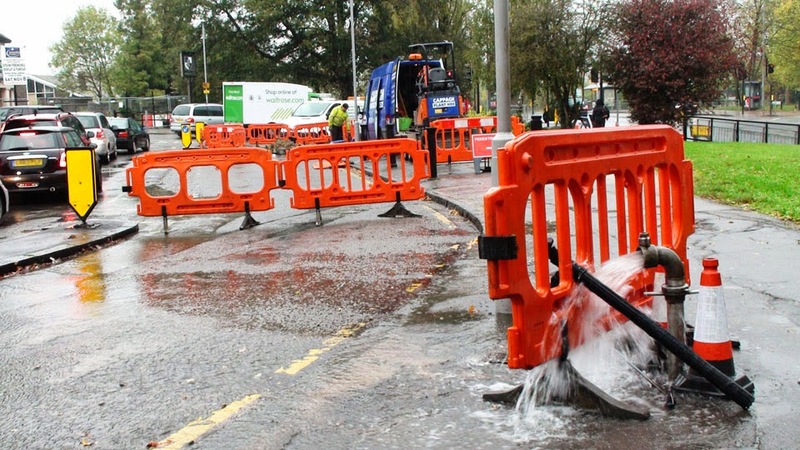 Park Terrace and The Avenue has been closed from Malden Road for most of the day today after a mains water leak needed to be fixed urgently. The leak was reported as a category 4 leak (not very urgent) last night but this was upgraded to category 1 (extremely urgent) when water started pouring through pavement cracks early this morning. The road was quickly closed off and the road dug up to allow the repairs to take place. The whole process from initial dig to reinstating the road surface would normally take several days but because this has involved actually closing a major(ish) road in one direction, they are under pressure to get it all finished by the end of today. The leak has now been fixed and the hole should be back filled soon, hopefully with some sort of road surface on it before tomorrow morning. See - they can do it when they try!